Please wait a few seconds for images to load. Tastes of Asia Chicken Cup Noodles. 65 Grams. Seasonings included. Low fat. Just 3 minutes to prepare. 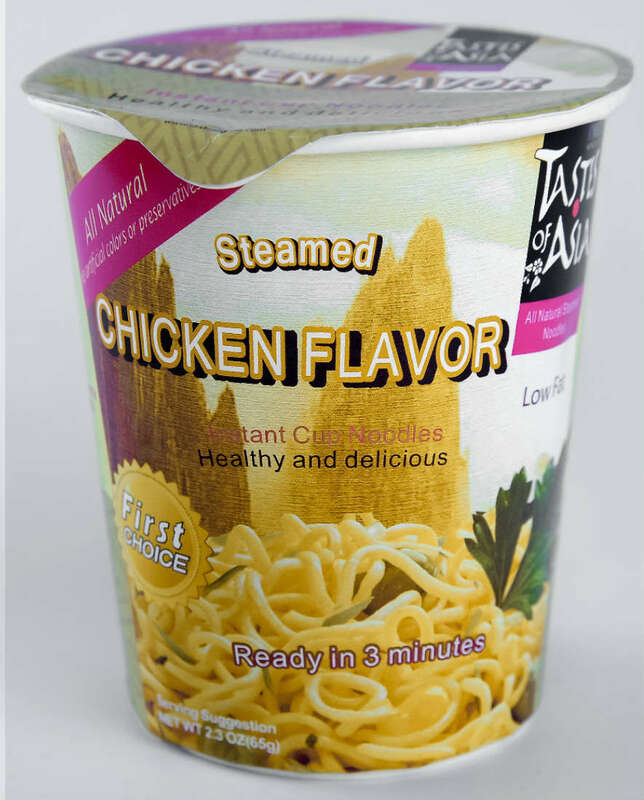 Tastes of Asia Chicken Flavor Cup Noodles. This 65 grams whole wheat noodle package includes seasonings and is ready to eat in just 3 minutes. It is low fat, steamed and contains no preservatives – great for health conscious consumers. This product is available with your label or ours. 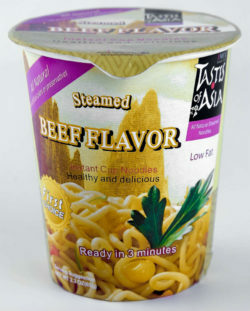 Tastes of Asia Beef Cup Noodles. 65 Grams. Seasonings included. Low fat. Just 3 minutes to prepare. 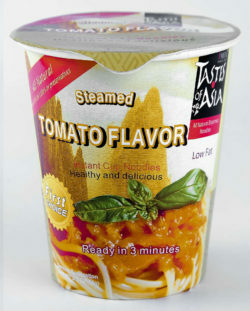 Tastes of Asia Tomato Cup Noodles. 65 Grams. Seasonings included. Low fat. Just 3 minutes to prepare. 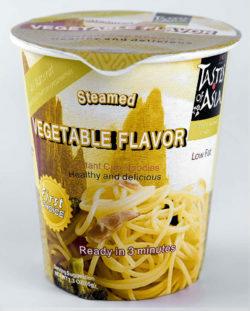 Tastes of Asia Vegetable Cup Noodles. 65 Grams. Seasonings included. Low fat. Just 3 minutes to prepare.